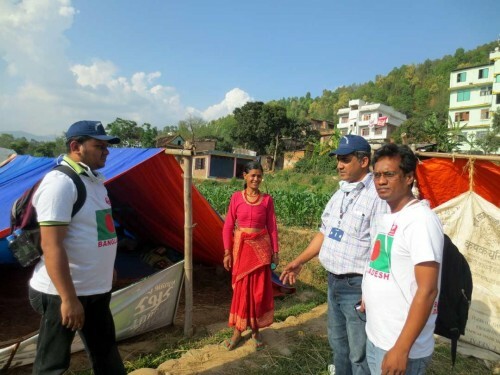 It has been one week since the earthquake caused severe devastation in Nepal, and A-PAD’s joint team with Peace Winds Japan has been tirelessly conducting its emergency operations on the ground and?providing support to the affected communities through medical support, food security, and search and rescue. The Nepalese government has confirmed that more than 7,000 people have died in the disaster and several remote mountainous areas remain inaccessible, leaving the true scale of the devastation still unknown. On May 2nd, the SAR team continued to coordinate and gather information from the local military to determine locations that are in most need of immediate search and rescue operations. After discussions, the team and the two sniffer dogs journeyed by chopper to a village called Liping close to the?Chinese border and conducted a search for missing people. In Liping, the team had to pass through a road blocked by crushed vehicles megaliths that had fallen from the cliff. Houses have been completely damaged and due to the inaccessibility of the area, people have been unable to receive to help to recover or clear the debris. As the team grasped the full picture of the devastation in the town, they started a search and rescue operation based on information gleaned from the local authorities and residents. 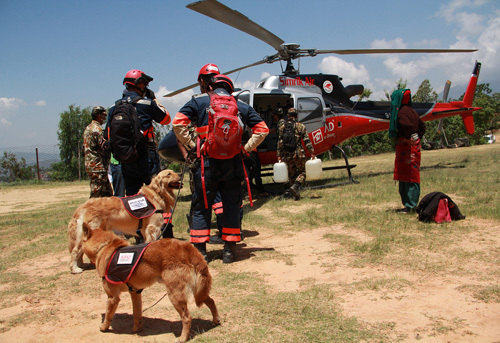 In addition, in order to save more people A-PAD utilized the chopper to transport injured residents to Chautara for medical care and reunify others with their family ?as well as deliver relief goods while the SAR team was conducting its operations. 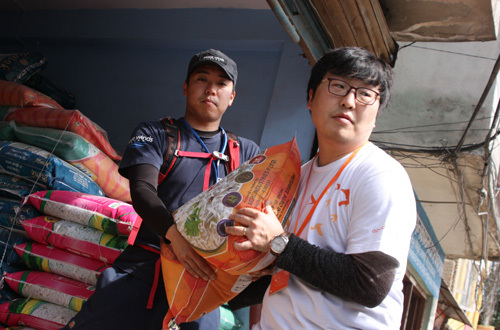 While the?SAR team was conducting its operations to search for missing persons in Liping, our relief team distributed rations packs in the district of Sindupalchowk, one of the most devastated areas in Nepal with more than 1,400 people known to have died here. 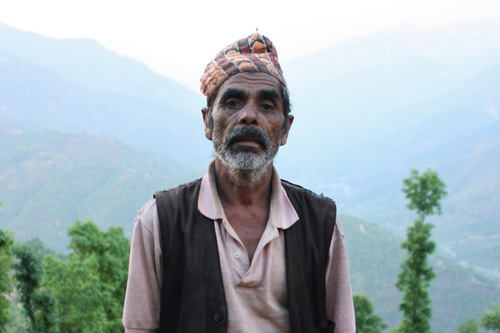 Located at an altitude of 2000 meters on the summit of a mountain, almost all the houses in Kubindhe village have been completely destroyed and the residents are camping outdoors under handmade huts or makeshift tents made from plastic sheets. Not one relief mission has made it to this village so far and the nearby market, having been damaged from the earthquake, has made it very difficult to purchase necessities such as food. The situation is very tense in many villages located high up in the mountains due to the scarcity of food and agitated residents have caused disturbance towards incoming government vehicles and aid organizations. Our team journeyed for 4 hours to Kubindhe village and there distributed rations packs containing rice, lentils, salt, cooking oil among others to 200 families. Due to the deteriorating security situation, we coordinated with the local police who assisted us in the delivery of the goods. 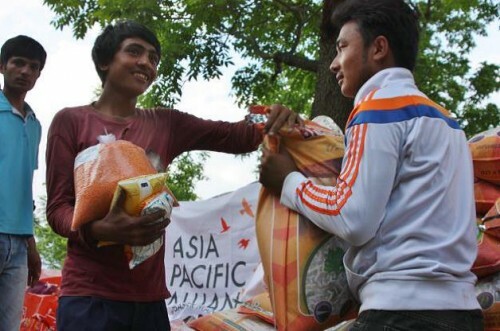 ?The local CBO ‘Janahit’ coordinated with village leaders and other CBOs in collating the beneficiary list based on vulnerability, prioritizing families who lost their loved ones/homes, and extent of injury to people and damage to households. 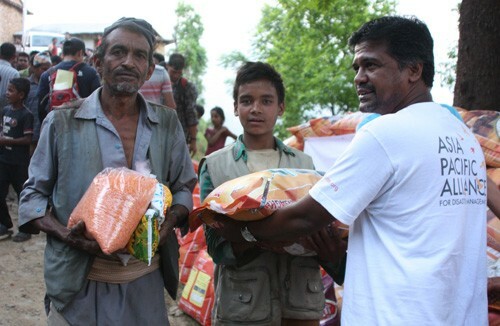 We plan to distribute additional ration packs to 500 more affected families in the next few days. A-PAD member Dhaka Community Hospital Trust deployed its team to Kavrepalanchok district, where they?have set up a medical camp at Mahadevsthan municipality?and?started a mobile hospital to the remote areas where they coordinated?with the local Red cross and village leaders to announce their health?services. 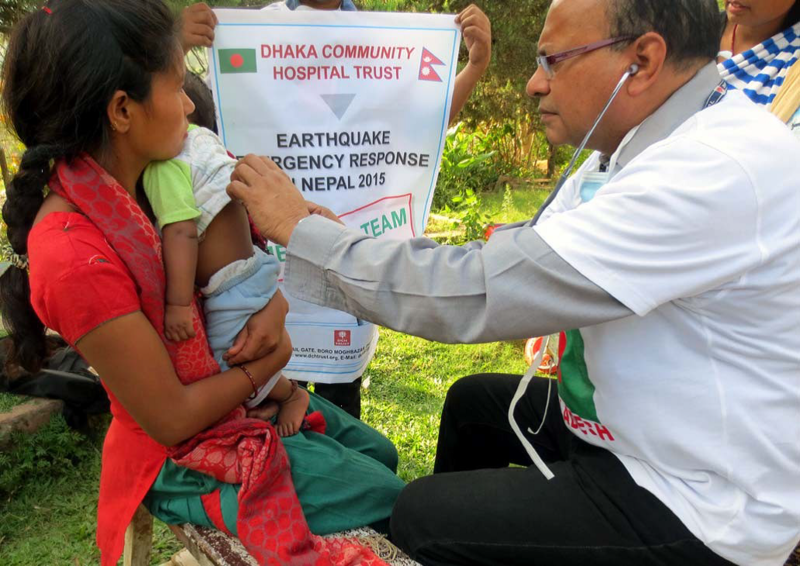 The team members composed of physicians, paramedics, water and sanitation experts among others?are traveling to the remote areas using a motorbike. They coordinated with the District Health Office to collect information about the most affected villages, which they narrowed down into 7. Ninety percent of the houses in these villages have been destroyed due to the earthquake and there is a high number of injured and dead. 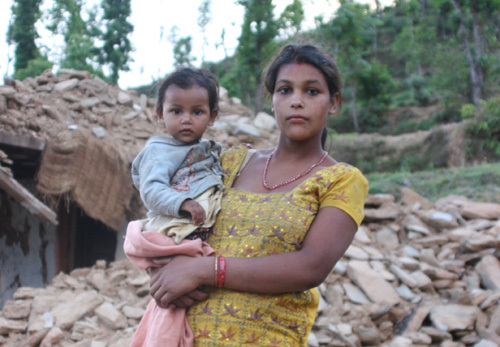 Your warm support for the affected Nepalese will be much appreciated. Make a donation.